June 24, 2012 by A. A few days ago, I wrote a piece here: https://thebetterfit.wordpress.com/2012/06/20/wonderwander-angkor-wat/ about my Angkor Wat experience. 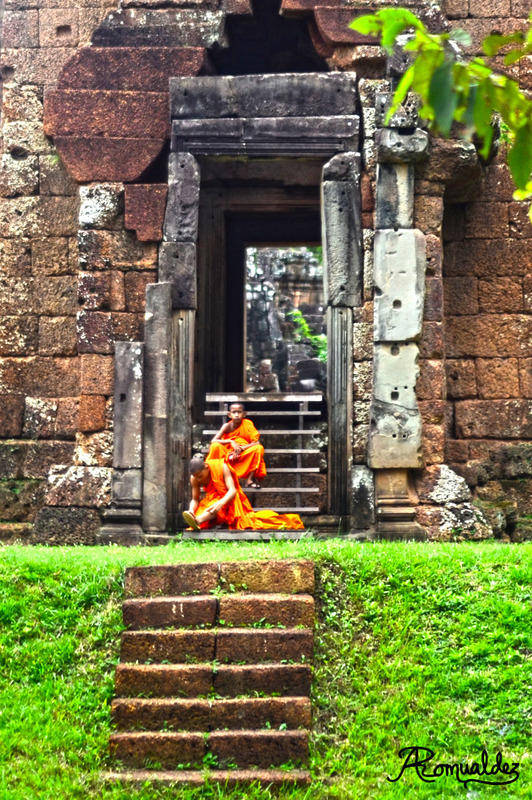 I had initially intended to just group my whole Siem Reap trip into two – divided between the two “big days” we spent there. However, as I was writing the entry it became clear to me I would need to break everything up even more. Thus, I decided to give every temple its own post, and save the food for their own post, and the general experience along with tips for another. Anyway, that being said, today I want to write about my personal favorite temple of the bunch. 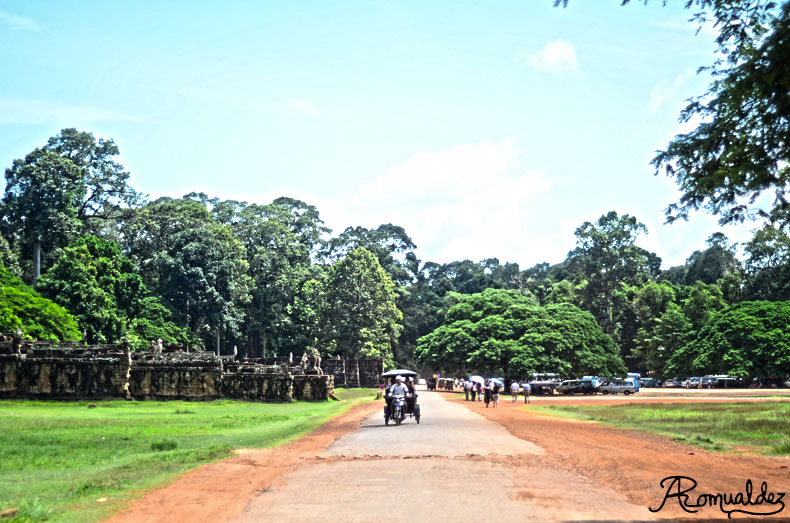 Immediately after seeing Angkor Wat, Sophy took Bernice and I back onto our tuk-tuk Chan and we set off on a quick 5-minute ride to our next temple: Angkor Thom. 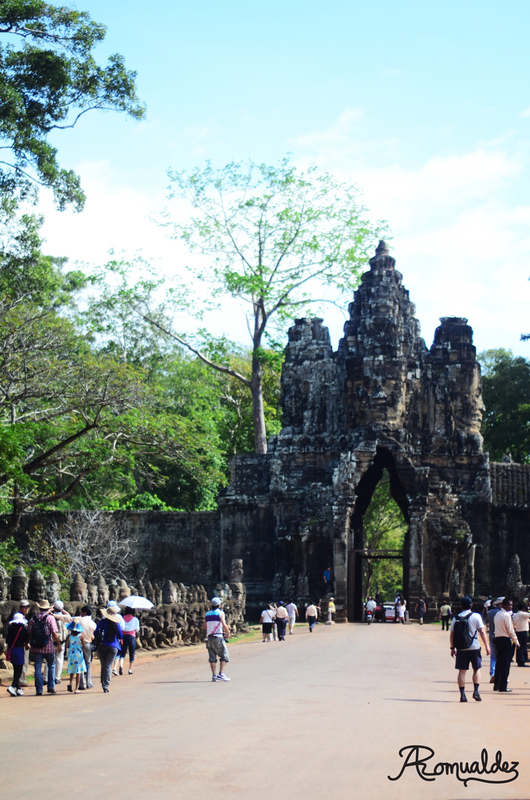 The entry to Angkor Thom is an elaborate archway – massive in all ways except in room for entry/exit. 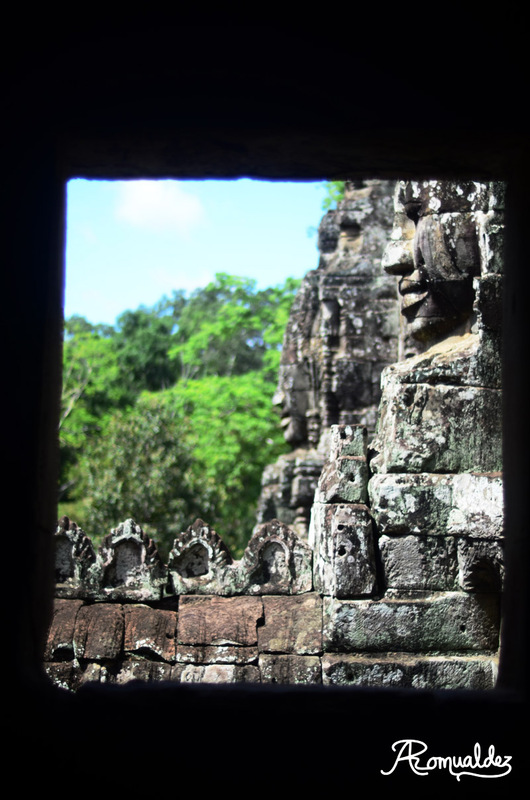 The archway is a part of a wall that makes a fortress of the entire city of “Thom” (which is what Angkor Thom’s literal translation is: City of Thom; and if I’m not mistaken, Thom itself means Greatness; thus it is called “the Great City”). Though not clearly pictured above, a short bridge leads up to the entrance and on either side of the bridge are devas (devils) and asuras (angels) depicted in stone, in reference to the old myth of the Churning of the Sea of Milk – which is a prevailing theme in all the temples, I’ve found. The story apparently goes that these devils and angels churned at this sea with Vishnu at the center of it all for something like 1,000 years…….and it all had something to do with eternal life*. After we had explored Bayon, we got back on the tuk-tuk and were driven through the city, where we made a few more pit-stops – including a visit to the Terrace of the Elephants, and a stop by these mini-temple-like things I never quite figured out that we were told were Hindu back in the day, but seem to host a small group of Buddhist monks as of late. Another healthy feat, another wonder wandered (wander wondered). There is no shortage to the beauty in the breakdown of a moment that reminds you just how human you are – and how fantastic that is. 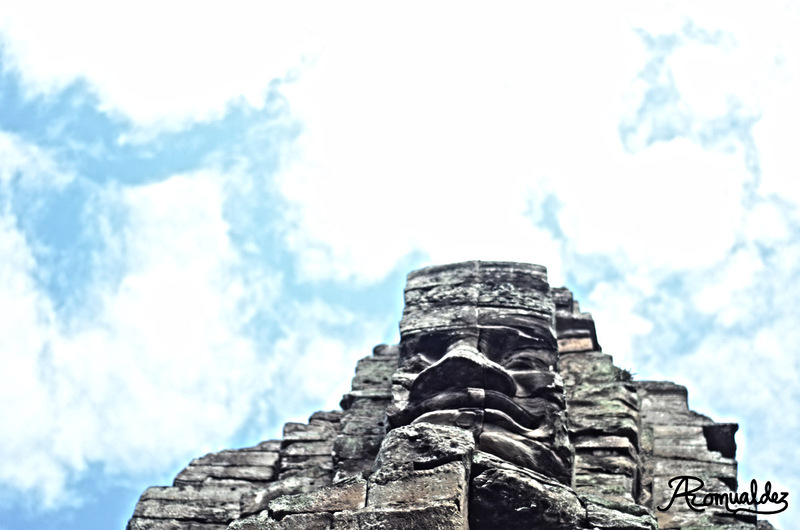 Upcoming Posts: #4 of Best Ways to Start Your Day, a healthy lemon square recipe, Wonder/Wander: Ta Prohm, a slew of food reviews, and probably a list of reasons why tomorrow never comes and it all begins today. *Language barriers make history lessons slightly more difficult to learn in person, but I want to keep this entry as authentic as possible. I have since looked up the myth and discovered that it is actually about the nectar of immortality, a sinking mountain on Vishnu/Kurma’s back, and 14 other things that will make this entry much longer than it needs to be. If you’re interested in more like I was, though, that’s what Google’s for! *That bodhisatva, upon some further research having encountered too much difficulty attempting to spell his name phonetically, was called: Avalokiteshvara. Yes. Clearly I was listening in this history lesson. 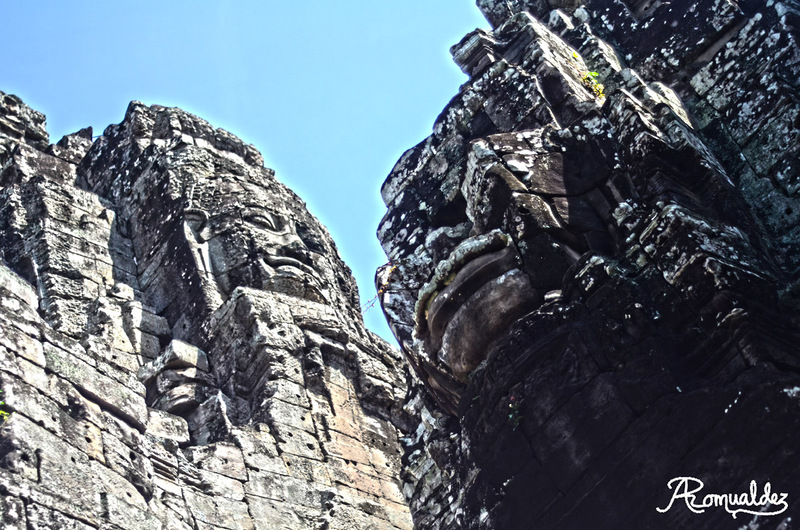 This entry was posted in fitness, flight and tagged adventure, angkor thom, angkor wat, buddhism, cambodia, healthy feats, hinduism, history, journalism, personal, photography, siem reap, spirituality, temples, thoughts, travel, unesco world heritage site, wander, wonder. Bookmark the permalink. 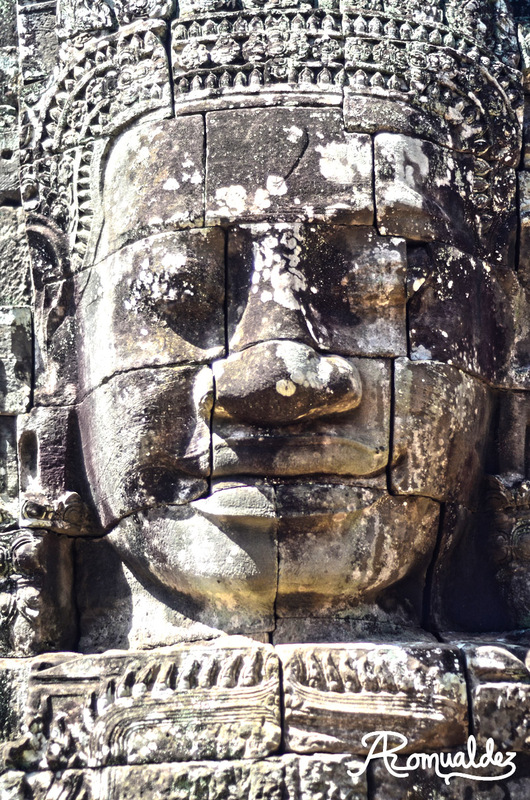 Angkor Thom literally means “big city”. 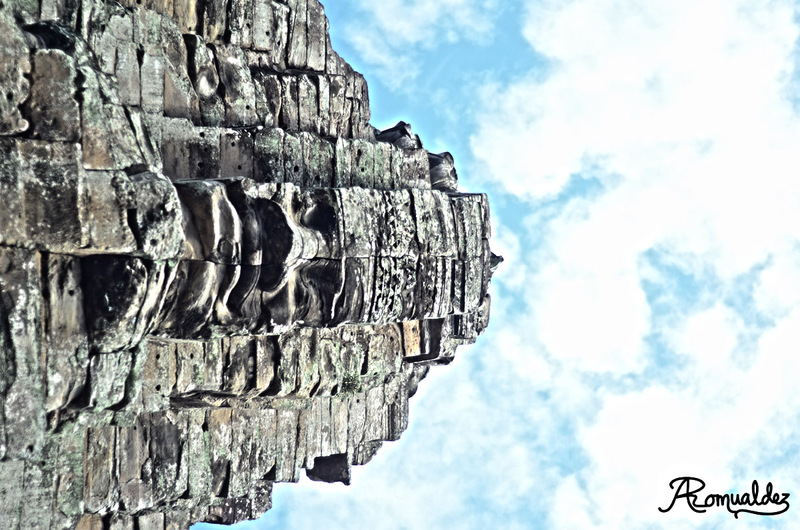 And yes, Bayon is the name of the temple. I’m not sure if it’s the name of the style as well. 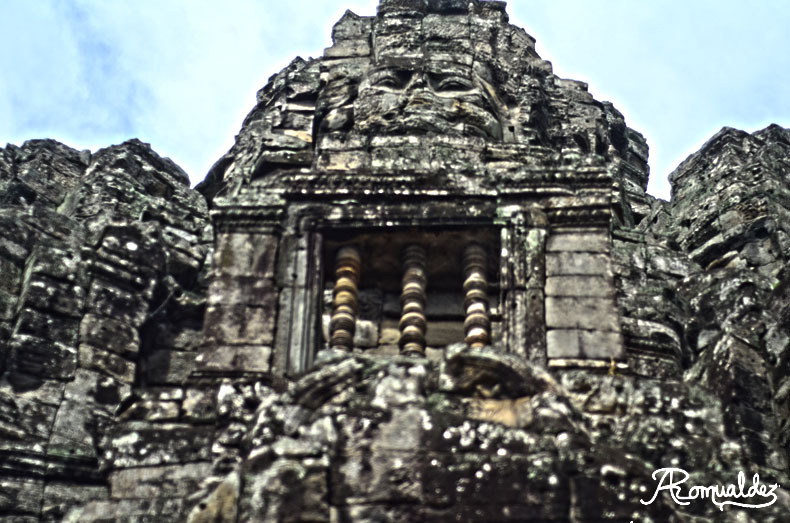 I looked it up also and there were some temples that were “bayon” style and some were “Angkor” style. I dunno na about that. Another great entry. Thanks for sharing this, Lex! “There is no shortage to the beauty in the breakdown of a moment that reminds you just how human you are – and how fantastic that is.” NAKS NAMAN, HOW POIGNANT! 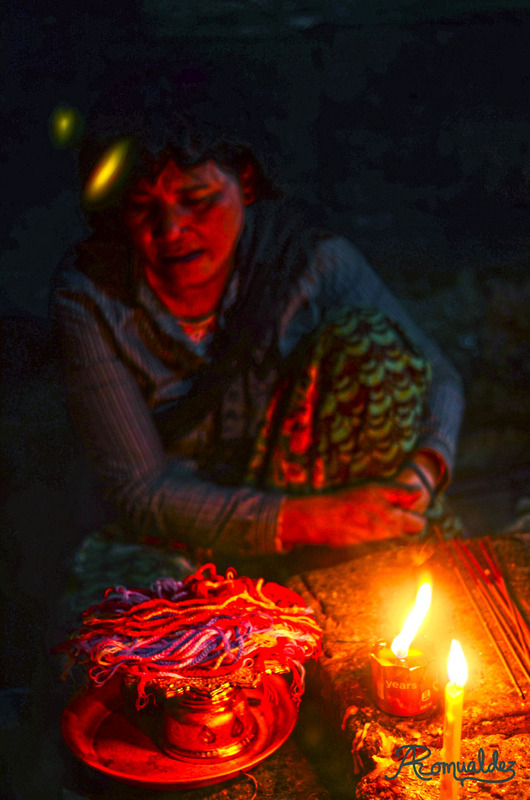 Can’t wait to hit Nepal with you!